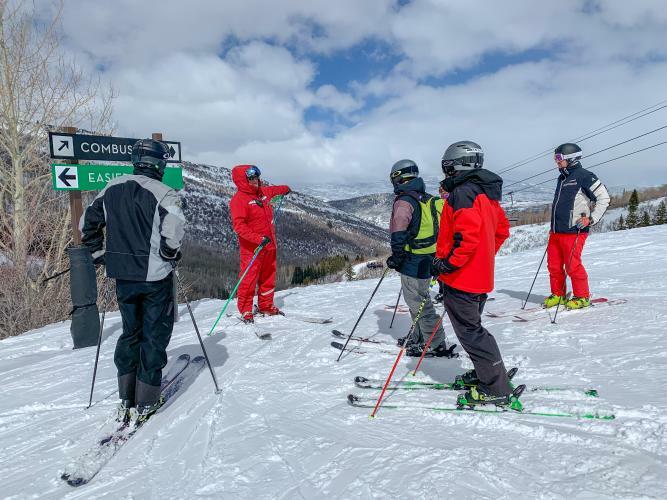 The Silver to Slopes tour is a free experience and doesn&apos;t require you to sign up in advance. 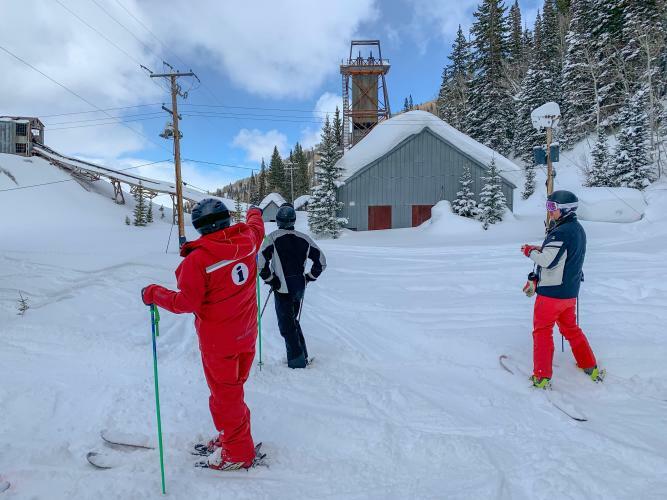 The guided tour is for intermediate skiers and snowboarders. I attended the afternoon tour which started at 1 pm from the top of the Bonanza Chairlift. When I arrived there was a "Silver to Slopes" sign located next to the trail map and a guide waiting to answer questions. After a group of participants showed up, our guide gave a quick introduction and an overview of what to expect during the tour. This winter is my first-year skiing, so I wasn’t sure if I would be able to keep up with the group. After the introduction, I informed the tour guide that I may not be able to do the entire tour but I wanted to try. Fortunately, my guide was very friendly and still made me feel welcome to join the tour. 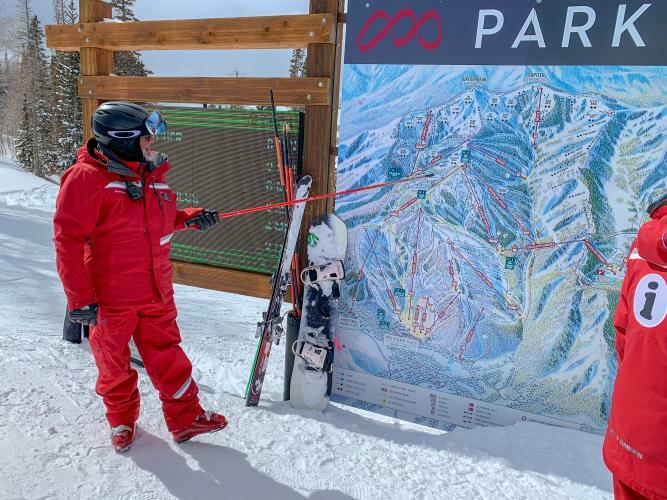 The tour was about two hours long and had approximately 6 - 8 stops spread across Park City Mountain&apos;s 7,300 acres. At each stop, our guide would tell us about the history of the site and interesting facts about mining in the late 1800s. I really enjoyed learning more about the mountain and had no idea there were so many places that were still standing and preserved. Additionally, it was nice to hear the meaning behind some of the names of ski runs and chairlifts. Although I was the slowest in the group, everyone was nice, and I enjoyed chatting on the chairlift throughout the tour. In addition to interesting facts, after each stop, our guide would tell the group where our next stop would be, just in case anyone took a wrong turn (which I did). We finished our tour at the trail map where we started, and our guide was able to show us the path we took and where we stopped. I thought this was great and very helpful, as I had never been to some of the locations before and wasn&apos;t paying attention to where we were at the time. To end the tour, our guide handed each of us a signature pin for participating. I really enjoyed everything about the tour however there are a few highlights I would like to share. Tour Route – I didn’t realize how much ground we would cover on the tour and I was pleasantly surprised to experience so much of the mountain. Many of the locations were new to me and it was great to try new lifts and runs. Tour Guide – In addition to being extremely knowledgeable about the history of Park City, our guide was incredibly nice and fun to talk with. As the slow one in the group, he always checked in with me, provided some encouragement and was very patient. I wish I would have planned ahead and had cash with me to tip! The History – I really loved the history and can&apos;t believe how many historic sites I have skied past without knowing. 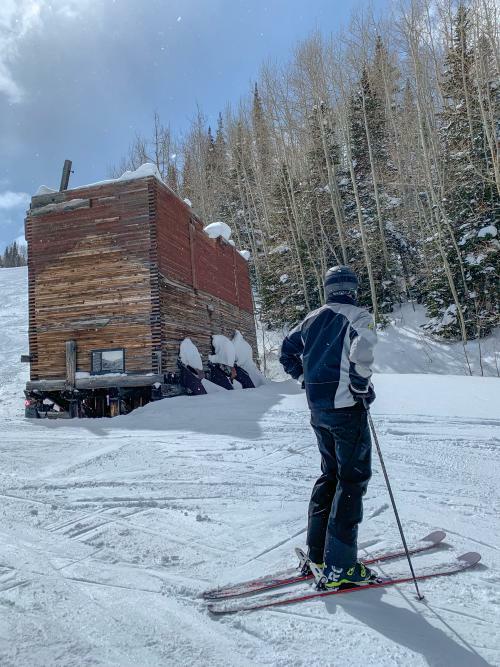 The "King Con Mine - Ore Bin" was a personal favorite and I will never look at the ski runs, 1/4 Load, 1/2 Load, and 3/4 Load the same ever again. The Signature Pin – At the end of each tour, participants receive a signature pin commemorating the tour. However, in my mind, it is so much more. 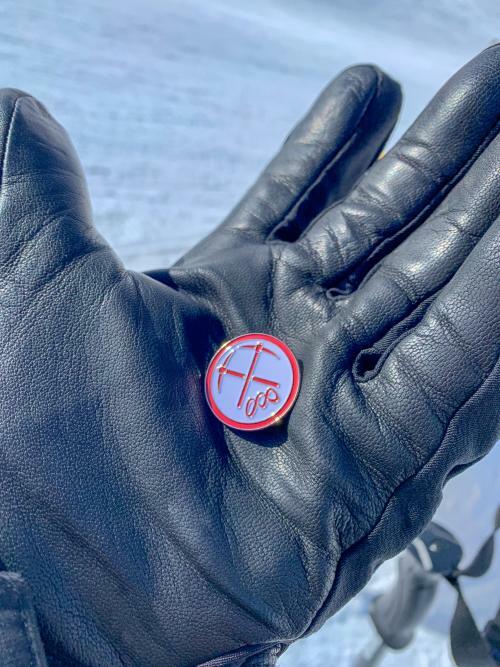 As a first-year skier, this pin symbolizes my graduation from a beginner skier to an intermediate skier. Plan ahead, know which starting point your chosen tour begins from. Going to the wrong starting point may result in you missing the tour. Swing by early and let the guide know that you would like to participate. Although tipping is not required or expected, bring cash to tip. I regret not having cash with me to tip my tour guide. You don&apos;t have to be a history buff to enjoy this tour, but it is a nice way to squeeze a bit of history into your vacation. The Silver to Slopes Historic Mining Tour is another great experience that you can only find in Park City, Utah.